Yikes. Just when things started looking brighter, U.S. equities sold off…hard. One week after the switch to an uptrend, the outlook sours and reverts to a downtrend, with confirmation from all 3 signals. Typical price action for bear markets actually, but that means admitting and accepting we’re in one. One thing everyone can agree on…it’s a traders market. 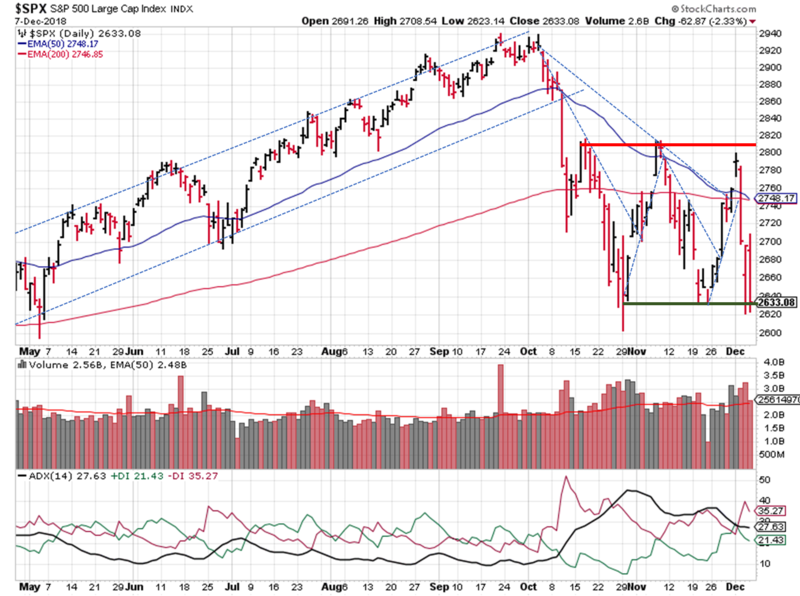 All the indexes start this week below their 20 day moving averages, sending this signal back to a downtrend. They’re all below their 200-day moving averages as well. In almost a complete 180 from last week, the price/volume signal switches back to a downtrend signal. 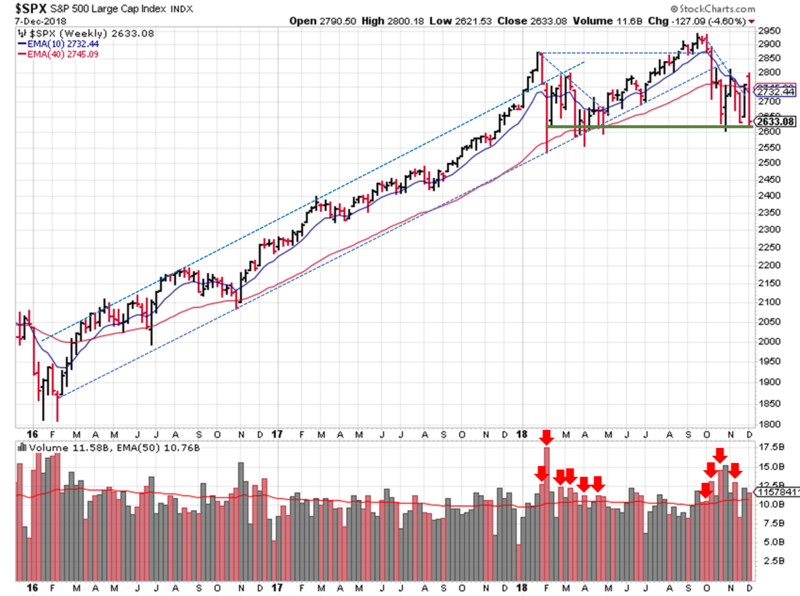 Last week’s losses came on higher trading volume…not the kind of price action that supports an uptrend. Strong fundamental performance didn’t provide shelter from the storm either. Lululemon reported Q3 results Thursday, beating top and bottom line estimates and maintaining their future outlook. The result? Opened Friday at $132, closed at $113 and change…down 14% for the week. OEW switched back to a downtrend. 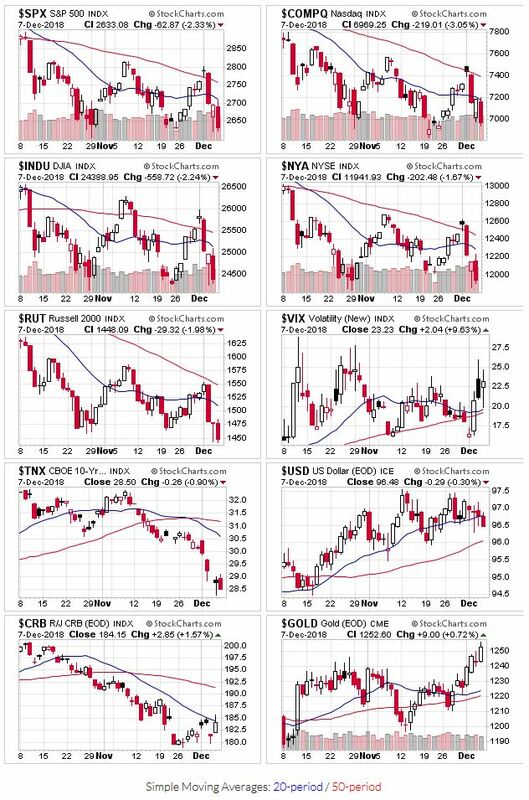 Even Tony commented on the difficulty identifying trends given the current market conditions and gyrations. The S&P ($SPX) wiped out two trendlines last week; the short term uptrend, and the intermediate downtrend. If you squint and give yourself some wiggle room, it almost looks like the SPX is range-bound between 2810 and 2630. Prices ended the week at 2633. Longer term, 2600 (give or take a couple percentage points) has served as the floor of support most of 2018. If it doesn’t hold, look for a new downward price channel to develop. Since the stock markets were closed on Wednesday, we didn’t add another week of high volume selling. 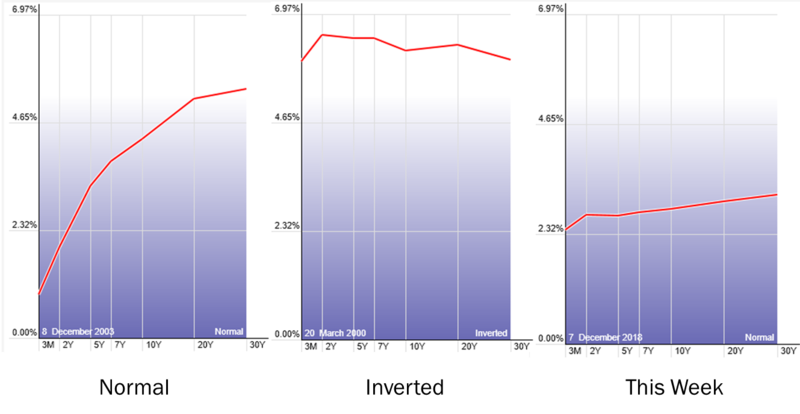 You may have heard about the yield curve inversion last week. Normally, more uncertainty exists over longer time periods, which brings higher risk, which requires higher yield to compensate. An inversion means an expectation of higher risk in the short term. SPX normally gains over the next 3 and 9 months after the first 5-3 inversion of the cycle (from Troy Bombardia; note that 1973 was the year of the oil embargo). So you’ve got some time to get things in order.